Licensed Grand Canyon rafting concessionaire Colorado River & Trail Expeditions(CRATE) will be launching their second annual photo contest. In addition to the photo contest there will also be a video contest. The contest will launch on Monday March 31, 2014 and conclude on November 30, 2014 at midnight. There will be three categories: people, river, and scenery. The Grand Prize winner will receive a 2015 Grand Canyon River trip and will be selected by a professional photographer. In addition, the winner from each photo category and the video category will receive their choice of a Desolation, Cataract or Westwater Canyon river trip with Colorado River and Trail Expeditions. Category winners will be chosen by popularity on Social Media and by fellow rafters. All photos submitted to the contest must follow all rules, terms, and conditions. 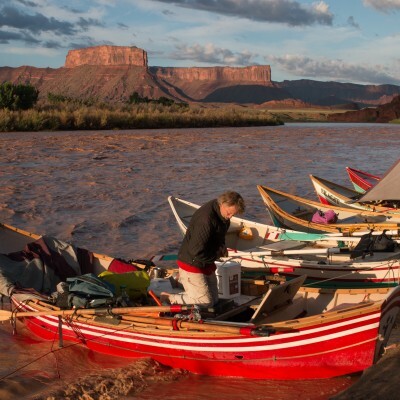 Only photos taken on Colorado River and Trail Expeditions’ trips or of their boats will be accepted. In addition to the photo and video contest those who submit photos will be able to share the photos amongst fellow rafters from their river trip. This will be a nice addition to those rafting with Colorado River and Trail Expeditions this year. Trips usually have about 24 participants so if everyone shares their photos there will be potentially 240 of the best photos from the trip shared amongst the group. Last year’s Grand Prize winner was David Wille. David won a space on the Tom Till Grand Canyon Photo trip that will take place May 2-12. The category winners of the 2013 photo contest were Adrienne Prosser and LeeAnn Peterson. Adrienne is scheduled to do Cataract Canyon river trip in May and LeeAnn is still deciding which trip she will join. To see all of the photos from the 2013 contest go to www.crateinc.com.photos. Colorado River & Trail Expeditions prides itself on introducing guests to nature on high quality outdoor expeditions. 2014 will mark CRATE’s 44th year under original ownership. For more information about the photo contest or river rafting call 1-800-253-7328 or visit CRATE on the web at www.crateinc.com. Posted March 6, 2014 by Crate Inc.